Nokia Sea Ray - First Nokia Windows Phone Photos and Video, Leaked! Come on. It's not like Mr. Elop didn't expect this to happen. Following a leakage from a supposedly no-cameras-allowed media sneak peek, photos and video of the first ever Nokia Windows Phone codenamed 'Sea Ray' are now all over the blogosphere. And why not? Afterall, Mr. Elop himself said that Nokia N9 will introduce a number of innovations that will be seen in Nokia's next generation handsets - one of which being industrial design. I have to admit, I was a bit skeptical when I first learned that Nokia had decided to adopt Window Phone as its new smartphone platform instead of Android - as Android would have been the safer choice. But after holding Nokia N9 and being told that that slim yet solid form factor will be seen in future Nokia Windows phones, and then realizing that people do need more options when it comes to the smartphone ecosystem they'd want to be part of, I started to feel more optimistic about the whole thing. Nokia is facing a bright future. isn't pushing for meego also giving consumers more options? 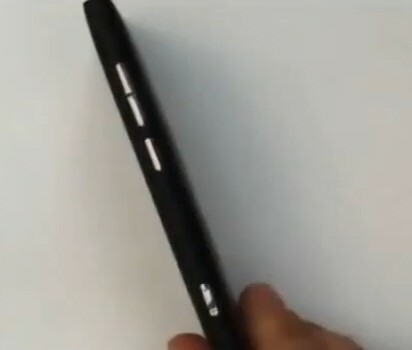 and from the demo videos, it looks like meego can hold its own against today's competition. That is not LEAKED! nokia ceo present showed that in the audience before the mango presentation. so it is not a leaked. and the N9 is the first and last meego os.